In the two years that have passed since the previous air show in Zhuhai, no radical changes have taken place in Russian-Chinese military technical cooperation. Not a single new major contract was announced for the procurement of aircraft platforms or components. Potential joint aviation projects, such as those for the development of a heavy transport helicopter or a widebody commercial airliner, did not progress past the level of political statements and preliminary market studies. 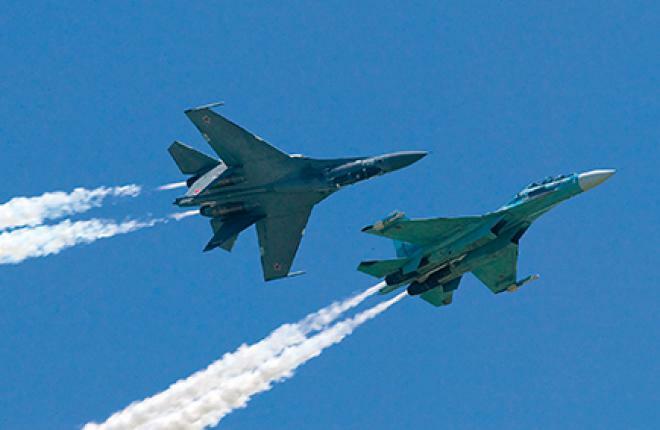 The Chinese Air Force’s interest in Russia’s newest Sukhoi Su-35 fighter and S-400 long-range SAM system has not yet resulted in any tangible contracts either. On the other hand, Russia all this time continued with deliveries under major engine and helicopter contracts signed with China in 2011-2012. Thanks to these contracts, which are now nearing completion, Beijing has remained among the top five of largest importers of Russian arms and military equipment, with the two countries’ current military technical cooperation estimated at some $2 billion. The figure is comparable to the highest indicators reported in the early 2000s. In the 1990s and the first half of the 2000s, China and India remained the anchor markets for Russia’s military aircraft industry. In quantitative terms, China was second after Delhi for the number of fighter jets purchased. The Chinese Air Force procured 36 Su-27SK fighters, 40 Su-27UBK twin-seat combat trainers, 100 Su-30MKK/MK2 multirole jets, and 105 Su-27SK kits for license production in Shenyang. In all, the service bought 281 Su-27/30 family fighters, not counting subsequent unlicensed clones. For comparison, India has purchased 290 Su-30K/Su-30MKI jets from Russia since the collapse of the USSR (18 examples of the Su-30K batch were later returned to Irkut Corporation under a trade-in scheme; 12 of these are undergoing overhaul and modernization and will be delivered to Angola). In addition, the Indian Navy in 2004 and 2010 ordered two batches of MiG-29K ship-based fighters, 16 and 29 examples respectively.